Digestive problems are uncomfortable, embarrassing, and very common. Many people suffer from symptoms including abdominal pain, cramping, constipation, diarrhea, gas, bloating, and nausea. Some of these digestive problems can be reduced or avoided entirely by improving your diet and maintaining a healthy lifestyle. 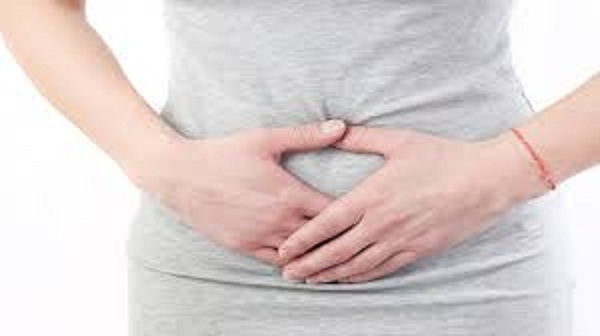 Establish digestion for people suffering from constipation, it is very difficult. But if to take up the matter thoroughly and comprehensively, it is likely to succeed. Constipation – the problem of all ages and is in infants, and the elderly, and people flourishing age. The reasons can be many. Sometimes this is due to the violation of some illness, sometimes very serious. Alarmingly, if delayed stool, accompanied by pain, he appeared suddenly, if constipation is constantly alternating with diarrhea, especially if the feces have appeared allocation of blood and mucus. In this case, you must consult your doctor immediately. But, fortunately, constipation can be functional. And then eliminate it quite capable of every one of us. But it’s better to do it in cooperation with a gastroenterologist. Most often, constipation occur due to improper diet: excess flour, fat, lack of water and fiber (fruits and vegetables), as well as due to sedentary lifestyles and long-term stress. Having defined the risk factors, you should begin to deal with them. The task – to make sure that the chair has not only daily, and occurred at the same time, preferably in the morning. Having decided to part with the bars, at first it is difficult to do without laxatives. But do not think that if these drugs are of plant origin, they are absolutely safe. Long uncontrollably and take most of them (especially on the basis of senna and bisacodyl) dangerous. This leads to rapid addiction. As a result, it is developing an inert bowel syndrome. Sometimes is electrolyte imbalance. Long reception senna, for example, may lead to the development of colon melanosis. Therefore, frequent constipation is better to treat a mild laxative, which can be used for a long time, without the threat of addiction or loss of effectiveness. Such means include lactulose, based on, for example. Causes of constipation may be psychosomatic. It has been observed that such issues bring people together like a warehouse: indecisive, stuck in the past squabbles, resentments, disappointments. Constipation is characterized by and for those who do not wish to part with the past, with anxiety and uncertainty about the future. And also for those who are greedy and obsessed with themselves and do not know how to share with others no joy, no money. If all this is about you, think: maybe it’s time to open up the world to shake off all the obsolete and the confidence to face the present and the future. You look, and constipation will disappear by them. Establish a diet and be physically active. The morning should start with gymnastics. Suit most simple movements – turning and torso to the side, forward and backward, sit-ups and exercise “bike”. Increase consumption of vegetable fiber (vegetables, fruits, bran, dried fruits, cereals) – up to 1.5 kg per day. For example, plums, dried apricots, prunes, figs, pears contain fiber and sorbitol. They are effective for both prevention and treatment of constipation. Eat at night dairy products. Increase the volume of intestinal contents. And to accelerate its promotion contributes bran, seaweed, and flax seed. Limit consumption of foods such as rice, white bread, strong tea, cocoa, coffee, potatoes, and milk. Eat at one and the same time, in small portions, but often – 5-6 times. Increase fluid technique (at least 2 liters a day), except for the coffee, strong tea and alcohol which contribute to dehydration. In the morning before breakfast drink a glass of cool water. Half an hour after that in the toilet do special exercises, stimulating peristalsis: take a deep breath – stomach stick out, pause 5 seconds, exhale – to involve the stomach, pause 5 seconds. Repeat 3 times, then strongly natuzhitsya. If it is failed, repeat several times. It helps and massages the abdomen with his hand in a circle, clockwise. When atony it should be more intense, and very easy and relaxing bowel spasms. How to adjust in to work when you do not want to work?